Arpilleras are intricately detailed hand sewn textile pictures. Each piece illustrates some aspect of daily life for the women of the Andes. The arpillera, in an array of colors , tells the story of the country markets where locals come to buy vegetables, clothing and wool for weaving. To do this project, each student was given a copy of an arpillera textile picture to use as a guide. This project takes two class periods to complete. 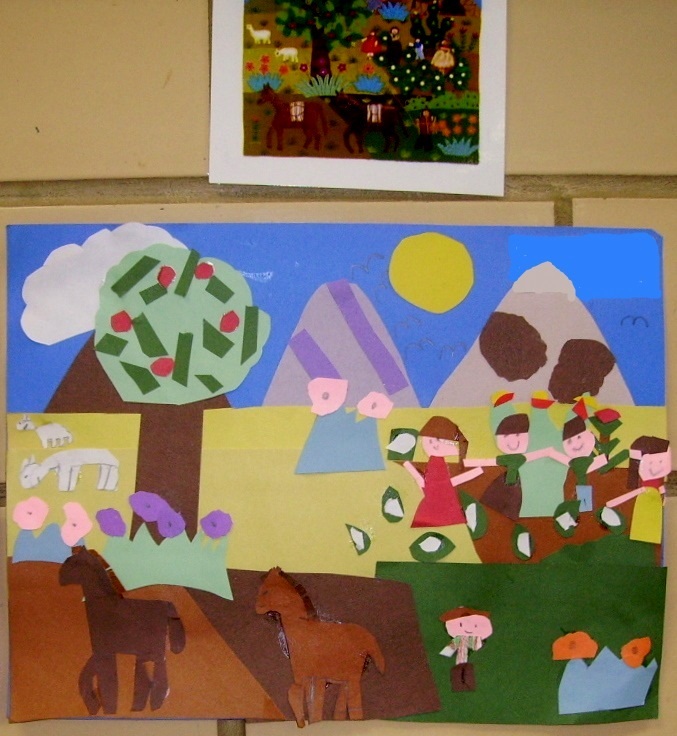 This project, “Peruvian Textile Art,” can be found in the 4th Grade Projects Gallery in the sidebar. This entry was posted in 4th Grade, Categories and tagged 4th grade, andes, arpillera art for kids, indian art for kids, peruvian arpilleras, peruvian arpilleras art for kids to make, peruvian textile art, textile pictures. Bookmark the permalink.